“the Sonus faber SE” is an extremely limited-edition rendition of this masterpiece available only by special request from premier clientele. This new ‘off the menu’ revision features a full overhaul with our latest developments in driver and crossover technologies. Designing an acoustic reference loudspeaker system is a long and complicated process: research, innovation, technical solutions, product design and final tuning. The task is to evoke the original sonic event, bringing it back to life, to make it real. We have been inspired in our designs by the ancient art of Cremona violin makers, through the metaphor of analogies with string music instruments, on the assumption that good sound depends largely on the acoustic chamber. The choice of timber for this application is therefore extremely important for the timbre. 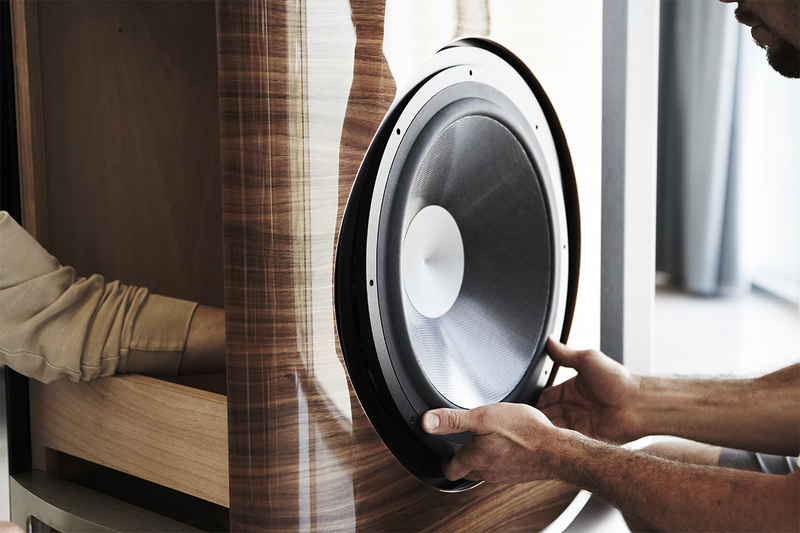 Sonus faber speaker cabinets are entirely handmade using staves of solid wood or carefully matched sheets of different heartwoods for better control of resonances , according to the acoustic needs of the individual design. 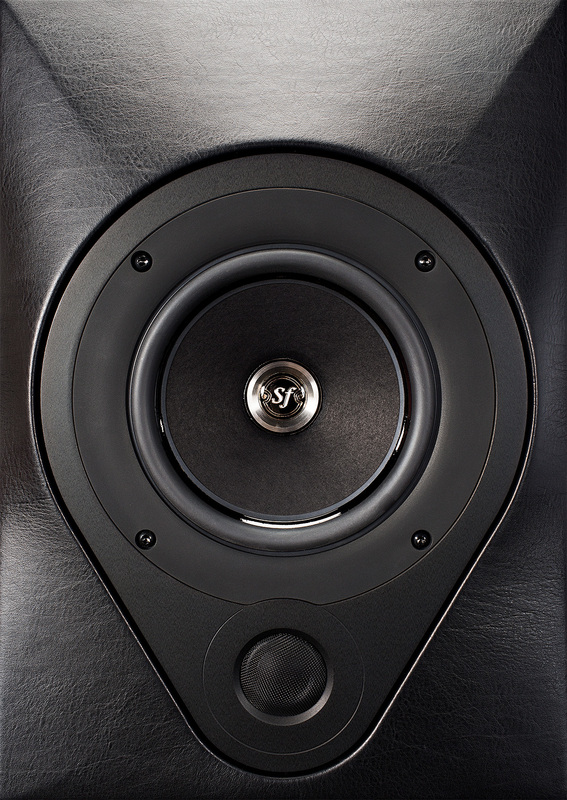 Research is the essence of Sonus faber. 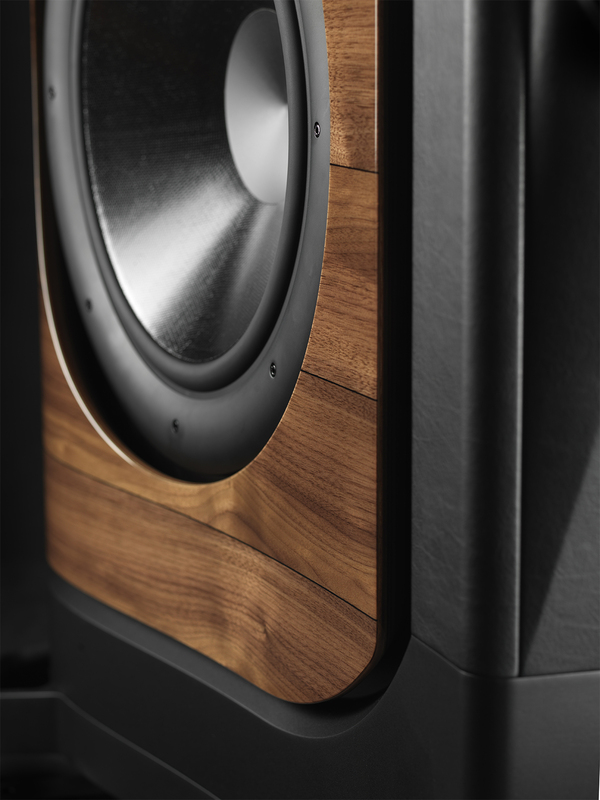 For over 25 years, Sonus faber has reinvented the electroacoustic applications of wood. Design inspired by the shapes of both lute and violin. 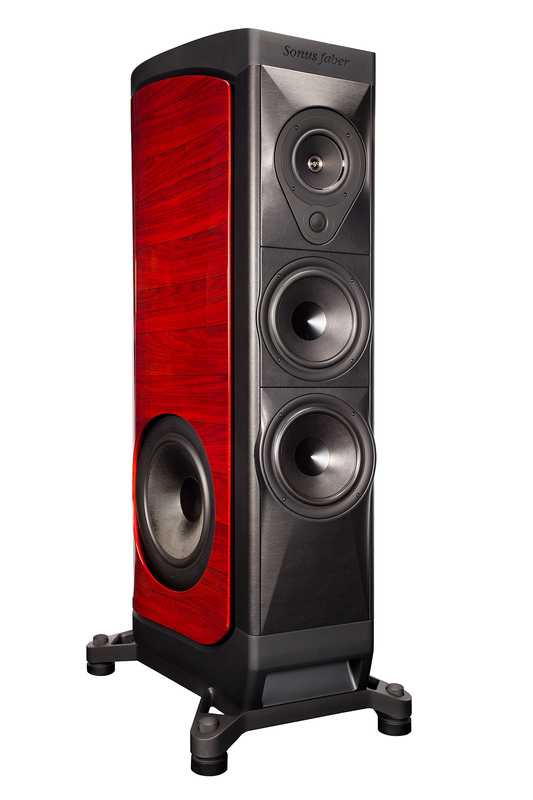 The absolute reference loudspeaker system needed a further source of inspiration: the Lyre. The lyre is the essential and ancient symbol of music, the instrument of the Gods. It is a perfect reference icon. The dual curvature shape introduced by the Sonus faber, the Lyre shape is an evolution of the Lute shape. Technically speaking, the dual curvature, special cross grained plywood, used in a double thickness constriction layer damped configuration has significant advantages in terms of low coloration compared to the single curvature variant used previously. However, the perfect reproduction of music also implies the emphasis on the canvas where music exists: ‘Silence’. Here, metal and the way it’s shaped come into play. Metal, from ‘avional’ to ‘gun metal’, is dealt in the same way as real wood: by CNC machining from solid billets of raw metal, hand finished , in the best tradition of made in Italy ‘supercars’. 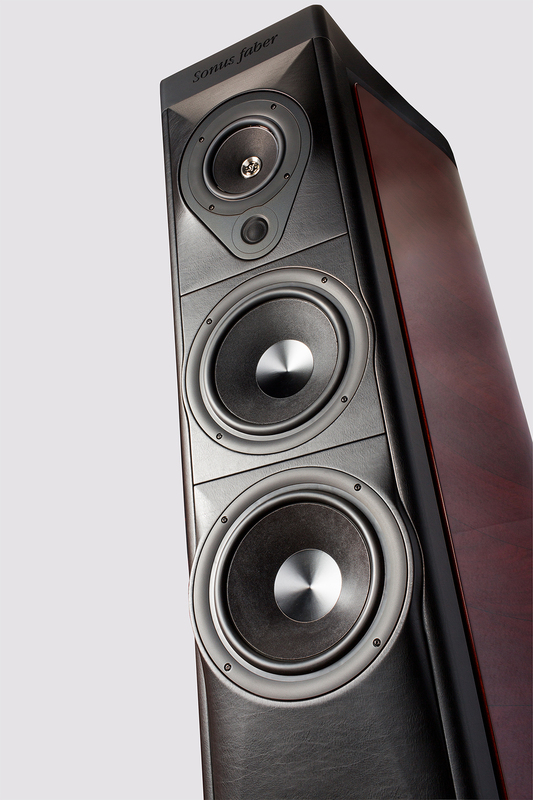 The Sonus faber is the highest expression of Sonus faber’s creativity. Available exclusively at Legendary Music & Cinema (LMC), Scottsdale, AZ. LMC: features the Southwest’s finest collection of world-class audio/video components, most of which are designed and manufactured in the USA and Europe. By offering exclusive world-class products, a highly skilled in-house design, build and installation team… LMC has become the source for discerning music and movie lovers!